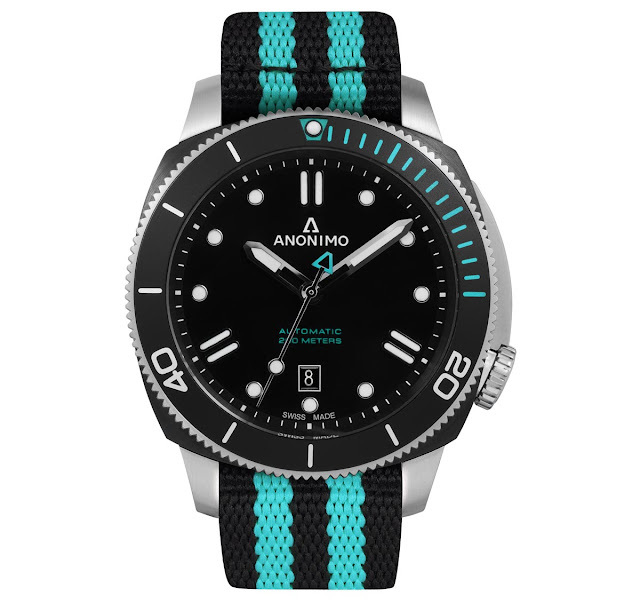 Following the Sailing Edition with red accents presented in 2016, Anonimo’s Nautilo line is enriched by three coloured models. The new Nautilo NATO come with a stainless steel / black DLC (Diamond-Like-Carbon) dual-tone case equipped with a screwed crown positioned at 4 o’clock. Water resistant to 200 metres / 660 feet, the typical cushion-shaped case has a diameter of 44.4 mm. 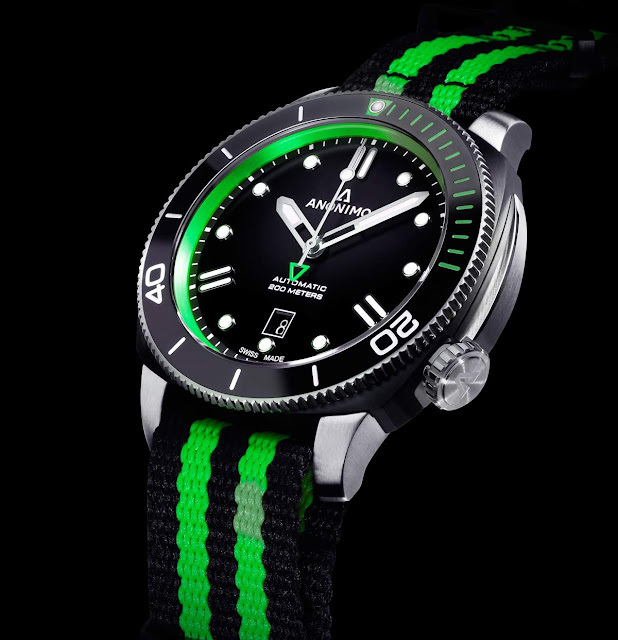 The three characterizing colours - blue, green and yellow - are used for the NATO strap, the counterweight of the second hand, and the markings of the first fifteen minutes on the unidirectional rotating bezel. The bezel of the green and the yellow models is further enhanced by a ceramic insert. 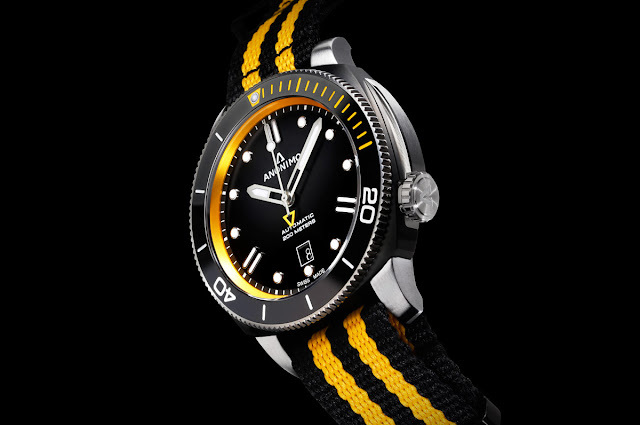 In addition, the green and yellow models sport coloured satin dial flanges. Differently, the blue model features a steel insert with DLC coating. 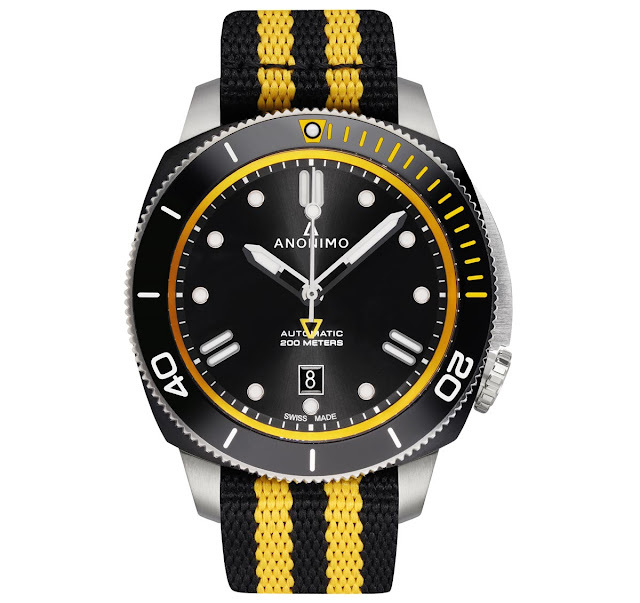 This is a 97-piece limited edition that Anonimo created as an official sponsor of the Leopard Racing teams. The slightly domed sapphire crystal protects the black dial on which the Super-LumiNova coated markers - dots and double sticks at noon, 4o’clock and 8 o’clock - stand out for excellent legibility even in poor lighting conditions. Like the entire Nautilo collection, the three new NATO models are equipped with the Sellita SW200-1 automatic movement which offers 38 hours of power reserve. 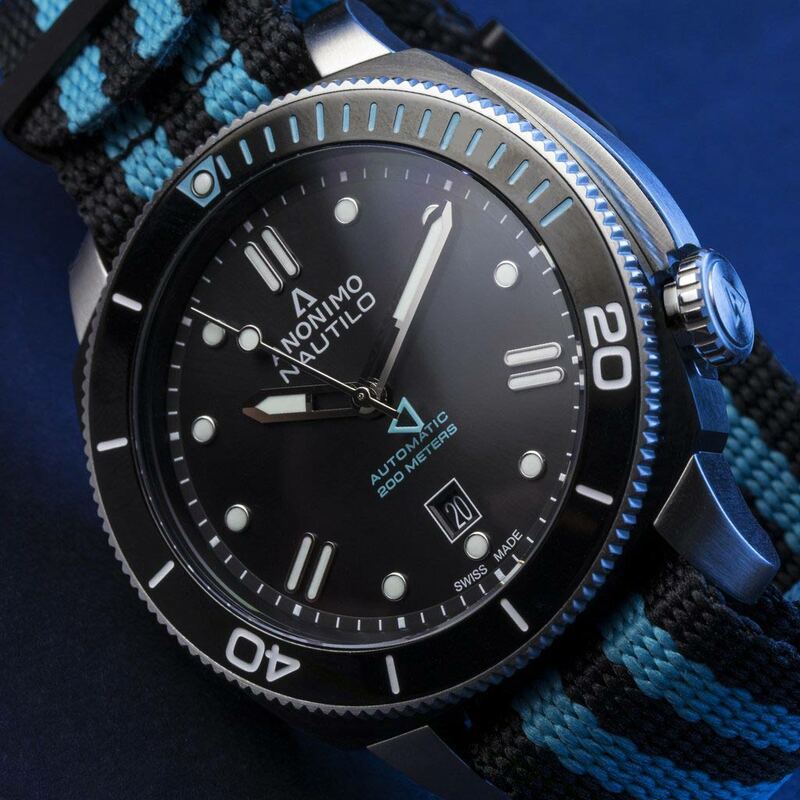 Anonimo Nautilo NATO. The new Nautilo NATO come with a stainless steel / black DLC dual-tone case. A 97-piece limited edition that Anonimo created as an official sponsor of the Leopard Racing teams. Prices are Euro 1,990 for the blue edition and Euro 2,190 for the green and yellow models.